Rapidly changing demands and designs in product performance and electrical integrity are having a huge effect on electronic connector systems. New, smaller and more portable electronics in aerospace, defense, and other stressful environments, like those encountered in robotics and oil exploration, are resulting in changing demands and designs. To meet the needs, changes are needed to standard micro-D connectors. New technology, including new latching Micro-D connectors developed by Omnetics, offers significant improvements for rapid connection and release with proven signal integrity for the portable and ruggedized electronics flooding into the market. The new latch technology provides high shock and vibration performance tested at military-level specifications. It is a fact of life that instruments are changing rapidly and everything is getting smaller. Today’s newer electronic instruments can afford neither the space nor the weight required by older cabling and connector systems. See Figure 1 for a few examples of the variety of connector types traditionally used for electronics. Figure 1 • Variety of connectors used in electronics. Even many of the older military specification models are rapidly becoming outdated in the face of the evolving demand for smaller and lighter connection systems. Older connectors like the D-Subminiature connectors (Mil.-DTL-24308), requiring 0.100-inch from pin to pin, just do not fit within today’s systems. Rapid industry growth in micro-size at 0.050-inch spacing and nano-connectors at 0.025-inch spacing are fulfilling the need in today’s higher-technology electronics. The change is sweeping through many industries as each one in turn sees the benefits of rugged portability and miniaturization and adjusts to the need for new connector and cable designs. For example, a number of military and deep-space applications began using robotics and soon we began to see emergency rescue device development companies beginning to use miniature cable and connectors. Then, since many emergency applications require the use of devices that can run at higher temperatures, up to 200°C, we began to see the petroleum research and geothermal industry following suit and testing new micro-D connector technology for their applications. In short, squeezing a lot into small spaces is becoming key across the industry and micro-D connector technology must be available to serve that need. The designers are heralding the ruggedized miniature connector as a major solution to a combination of design needs and application-related demands. The trend also includes a need for quick plug-and release connector technology, because users do not want to have to go back to a lab and use additional tools to mate or release a connector. As electrical circuit technology and complexity evolves, chip speeds are increasing their data processing rates, current and voltages are being used at lower levels and mixed signal systems are demanded within the same interconnect system. The use of these new circuits with higher and higher circuit speeds are evident nearly everywhere, but are most critical in surveillance cameras and high resolution displays used in portable military applications, space satellites, and ruggedized robotic equipment. Nowadays, miniature electronic modules are moved from the big-box, out through cabling to probes, sensors, and detectors used to deliver a variety of information to the main unit, including video, thermal measurements, shock, and guidance. Circuits in mission-critical applications are often placed in harm’s way and must retain the highest reliability and maintain signal integrity even in stressful environments, including high shock and constant vibration of the electronics. 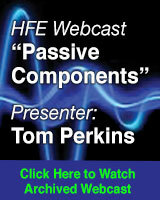 Changes in the electronics and the applications have both allowed and demanded significant changes in the systems that connect each electronic module to the main driving system or cable and connectors that assist in interlacing electronic connections from module to module or module to sensors, detectors, cameras, lasers or other data acquisition or data distribution devices. And keep in mind that in many cases the new electronics have to be rugged and reliable, wearable or portable, as well as meet the standards of the system in motion. Voltages are somewhat standardized and are significantly lower than previously. Current levels are dropping to the milliamp levels, compared to older electronic systems. Space for signal routing has become limited. Weight of the connector and cable must be reduced to increase service life of the module. Ruggedness is increasingly significant, especially in airborne and robotized instruments. Rapid connect and interconnection is often critical in field applications. 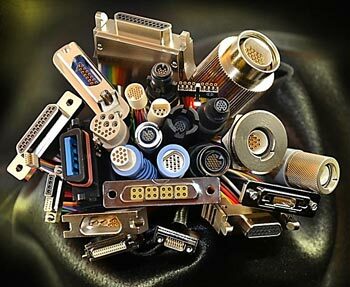 Industry trends have shown that most cable and connector manufacturers are rapidly tooling smaller interconnect systems to meet the mechanical and physical configurations that can serve the new ruggedized miniature electronics of today. It is important to note that electronic design groups are also pushing new limits in providing faster and more efficient micro-chips. Expanded C-MOS technologies have combined most electronic sub-systems within one chip design. These new chips offer much higher speed signals, larger memory sections and operate on lower voltages and lower current, which greatly expands battery and field life of the instruments they are supporting. Another interesting trend is that analog signal management is giving way to digital signal processing. Analog signals are not going away and remain very useful in certain level-sense control and modulation circuits, but they often require larger wire diameters and higher voltages. Digital processing seems to be eclipsing many areas of electronic circuit design and are used from commercial communication application, (like cellular phones), to many high level military and space technology applications. The advantage of digital signal management is that it can be routed easily and can be dramatically speeded up with lower cost and complexity in the electronics. 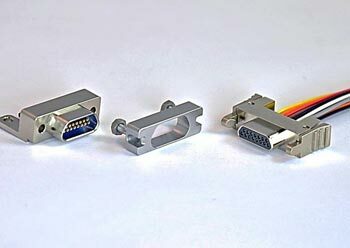 Many cables use a differential pair of twisted wires, for example, Apple’s FireWire, or other equivalent. 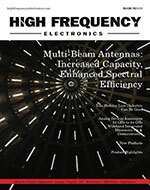 Highly reliable signal speeds are being achieved and maintain the high signal integrity as they perform in the Gigahertz range on extremely small diameter wire. This trend allows the placement of new, unique, electronic products in portable and rugged applications beyond what we have previously seen today. An important note about using digital signal processing within cabling is that it is more secure from listening devices, since the cables can be shielded and protected way beyond what can be designed for signal transmission through the airwaves, especially when security and confidential information is involved. Micro-D connector technology has been around for generations. A smaller type of connector derived from the D-subminiature or D-sub (named for its D-shaped metal shield), the microminiature D, or micro-D, is about half the length of a D-sub, and has proven to be extremely successful over the last 40 years. Recently, Omnetics developed a new Latching Micro-D to retain the advantages of the popular and proven micro-D design and update it to meet the requirements of smaller and more mobile technologies. These technologies tend to require more frequent module changing and rapid field replacement of systems in places where additional tools may not be available. 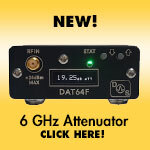 Digital signals from optical surveillance systems, low voltage differential signals and even lower current power supplies are some of the newer applications taking advantage of the quick-change design opportunities of the new Latching Micro-D connection system. See Figure 2. Figure 2 • Latching Micro-D technology. The new technology is based on the micro-D’s well-established reliability and performance specifications. It also takes advantage of its predictable voltage and current ratings and the fact that it is adaptable for many board-mount, panel-mount and wiring configurations and pin counts. The new Latching Micro-D system has three major sections or components. Wired plugs are connected to cables or open wiring that includes optional metal or over-molded back-shells to protect for electromagnetic interference (EMI), and a strain- relief design that reduces wear on the cable interface to the back shell of the connector. The Latching Micro-D connectors support a wide range of cable types that can include open wiring, jacketed cable sets, and even EMI-shielded braided coverings to protect signal intrusion and/or signal noise from escaping the cable and affecting other circuits. See Figure 3. Figure 3 • Cable types to protect signal intrusion. With the latch design, the cable can be quickly disconnected in a simple squeeze-and-pull motion. An adapter can be added to existing micro-D connectors to allow current instruments to use the latch on cables in their system. The connectors are built with highly rugged and compact designs using aluminum alloy 6061 shells with nickel plating, offering contact counts from 9 to 51 positions. Using a one piece beryllium copper flex pin design, the connectors are plated with nickel/gold for robust service that operates from -55° to +125°C, with a special version rated for 200°C. The Latching Micro-D’s high reliability, light-weight, rugged, quick-connection system has been used in a number of newer designs for miniaturized equipment designs. 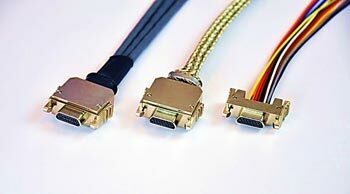 Cable systems include braided shields to reduce EMI and cross talk. Adapting to the older jackscrew designs are done by adding a simple “latching adapter” to existing Micro-D connectors. As new electronics are developed for a more portable and rugged environment, the miniature micro-D connectors are being used to fit into many limited capacity and limited weight design applications. Matching cable and wiring systems are ready and can be implemented immediately, without adjustment or design changes. Designers can even use standard solder-cup versions in their own lab for prototype and circuit development. The quick connection features also help speed up the test and analysis process. Bob Stanton is Director of Technology at Omnetics Connector Corp., Minneapolis, Minn.